The gala event is hosted by Jimmy Kimmel. New Delhi: The biggest night in the world of cinema—the 90th Academy Awards ceremony, hosted by Jimmy Kimmel, took place at the Dolby Theatre in Hollywood, Los Angeles. Popularly knows as Oscars, the awards were presented in 24 categories. The nominees for the 90th Academy Awards were announced in January. American romantic drama fantasy 'The Shape of Water' led all nominees with at least 13 nominations and won as many as four awards. Christopher Nolan's 'Dunkirk' came in second with 8 and Three Billboards Outside Ebbing, Missouri came in third with seven nominations. Jimmy Kimmel ends the show on a high. So, this was Oscars 2018 for all, stay tuned for other big updates! The Oscars for 'Best Picture' goes to 'The Shape of Water', which won four awards at the ceremony. Jimmy Kimmel's witty one-liners make it a memorable affair. Jodi Foster and Jennifer Lawrence present the Oscars for 'Actress In A Leading Role' and it goes to Frances McDormand for 'Three Billboards Outside Ebbing, Missouri'. Jane Fonda and Helen Mirren present the Oscars for 'Lead Actor' goes to Gary Oldman, 'Darkest Hour'. You can't help but notice the Times Up badge which Jane Fonda wears on her glittering Ivory dress. 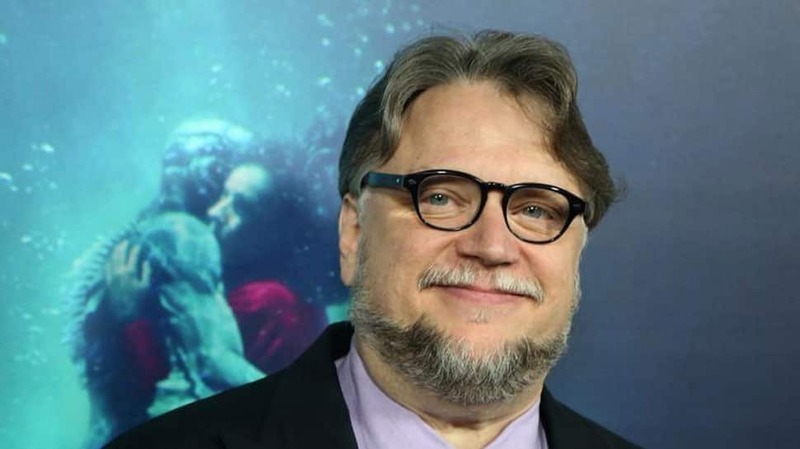 The Oscars for 'Directing' goes to Guillermo del Toro for 'The Shape of Water'. A touching performance by Eddie Vedder in remembrance of the souls who departed the year gone by. In Memoriam segment, he sang Tom Petty’s Room at the Top of the World. Amid several international celebrities, a tribute was given to Indian icons—Shashi Kapoor and Sridevi respectively. The Oscars for the 'Best Original Song' goes to Kristen Anderson-Lopez, Robert Lopez for 'Remember Me' from 'Coco'. Christopher Walken presents the Oscars for 'Best Original Score' and it goes to Alexandre Desplat for 'The Shape of Water'. Zendeya on stage and presents Keala Settle who sings a powerful track 'This Is Me' from 'The Greatest Showman' film. Sandra Bullock presents Oscars for 'Cinematography'. It goes to Roger Deakins for 'Blade Runner 2049'. The Oscars pay a tribute to the Military. A montage of films such as Saving Private Ryan to The Thin Red Line to Platoon to Zero Dark Thirty shown on stage. Nicole Kidman on stage to announce 'Original Screenplay'. And the Oscar goes to Jordan Peele for 'Get Out'. The Oscars for 'Adapted Screenplay' goes to James Ivory for 'Call Me by Your Name'. The women who exposed the infamous Weinstein scandal—Ashley Judd, Annabella Sciorra, Salma Hayek address the much talked about 'Times Up' campaign in Hollywood. The importance to speak-up on various issues presented out on the big screens through various films shown on the trailblazers. Rapper Common and Andra Day take on stage with 'Stand Up for Something' song from 'Marshall'. The Oscars for 'Best Live Action Short Film' goes to 'The Silent Child', Chris Overton, Rachel Shenton. The Oscars for the 'Best Documentary Short Subject' goes to 'Heaven is a Traffic Jam on the 405', Frank Stiefel. Jimmy Kimmel thanks the movie-going public. His gags leave the audience in splits. Mathew McConaughey announces the winner for 'Film Editing'; it goes to 'Dunkirk', Lee Smith. The Oscars for the 'Visual Effects' goes to 'Blade Runner 2049', John Nelson, Paul Lambert, Richard R. Hoover, Gerd Nefzer. Sufjan Stevens performs to 'Mystery of Love' song from 'Call Me by Your Name' film. The audience enjoys his soothing performance. The Oscar for the Best Animated Feature goes 'Coco', Lee Unkrich, Darla K. Anderson. The Oscars for the 'Best Animated Short Film' goes to 'Dear Basketball', Glen Keane, Kobe Bryant. The Oscar for 'Supporting Actress' goes to Allison Janney for 'I, Tonya'. The Oscars for 'Best Foreign Language Film' goes to 'A Fantastic Woman' (Chile). Another musical performance on the show by Gael Garcia Bernal, Miguel and Natalia LaFourcade on 'Remember Me' song from 'Coco'. Lupita Nyong'o and Kumail Nanjiani talk about what dreams are made of and announce the 'Production and Set Design' Oscars winner. It goes to 'The Shape of Water', Paul D. Austerberry, Jeffrey A. Melvin, Shane Vieau. Jimmy Kimmel is at his quirky best and goes amid the audience to keep them entertained. 'Dunkirk', Mark Weingarten, Gregg Landaker, Gary A. Rizzo get the Oscars for 'Best Sound Mixing'. The Oscars for the 'Sound Editing' goes to Alex Gibson, Richard King for 'Dunkirk'. An enchanting musical performance by Mary J Blige on 'Mighty River' song keeps the audience going. She sang her track from 'Mudbound'. She is this year’s double nominee in the 'Original Song' and 'best-supporting actress' category. This makes her the first person to ever be up for both awards in the same year. The Oscars for the Best Documentary Feature goes to 'Icarus' by Bryan Fogel and Dan Cogan. The Oscars for the Best Costume Design goes to Mark Bridges, 'Phantom Thread' (film). 'Wonder Woman' Gal Gadot announces Darkest Hour, Kazuhiro Tsuji, David Malinowski, Lucy Sibbick as the winners in 'Makeup and Hair' category. The Oscars 2018 for Best Supporting Actor goes to Sam Rockwell for 'Three Billboards Outside Ebbing, Missouri'. Viola Davis on stage to announce 'The Best Supporting Actor' this year.